This post should really be titled ‘Things I’ve Been Loving but Forgot to Put in my Favourites’. Because that’s essentially what it is. I realise I could just put them in my September Favourites, but where’s the fun in that?! I’m constantly trying out and loving so many new things – I honestly just cannot and will not stop spending money until I die. Which may be sooner than planned because I currently can’t afford food. YAY. 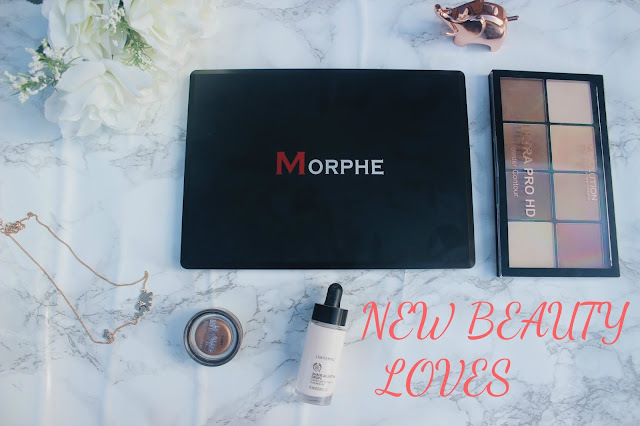 So here’s some things I’ve been trying out over the past few months and have been loving! I’d heard good reviews about these drops and had been meaning to pick some up for a very long time but never got round to it. These £10 lightening drops have actually saved me SO MUCH money. The NARS foundations I bought in Italy became too dark for me after my tan faded – but instead of having to fork out another £30 for a lighter foundation, I can just use these! They don’t change the formula of the foundation at all – it literally just changes the shade. I cannot fault these handy little things! I think I’ve heard some people use the darkening drops to contour, which is GENIUS but I’m crap enough with powder contour, never mind a very gloopy liquid contour. This was such an impulse buy. I was in Superdrug picking up some skincare, walked past the Revolution counter and thought “Yup, I’ll have that!”. To be honest, it was a Blog Buy. A purchase for the main intention of reviewing it on my blog. But actually, I really really love it. The powders are so easy to blend and come in a huge variety of shades – some for highlighting as well. And I’m pretty sure this was super duper cheap. I love Revolution as a brand, you get some pretty high quality stuff for a very low price! I dont have the ABH contour kit or anything else to compare it to – but if you want to try out contouring and don’t want to spend a fortune on a high-end kit, this is definitely a viable option! If you follow me on Twitter you’ll know I only got this a few days ago. But a few days is all it takes to fall in love with a palette. I’ve wanted the iconic 35O palette for months and months and months, so when I saw Beauty Bay tweet that they had the matte version in stock – I just had to snap it up. I don’t actually own any fully matte palettes, most of them are shimmer with a few mattes, so I can tell I will be using this a LOT. I actually prefer matte finishes anyway, so I’m not sure why this is my first all matte palette. The shadow pans are HUGE and amazing quality, there are no names so I’ve just swatched a couple of my favourite shades, and there is also no mirror, which is a bit annoying. But for the price of these (£19.50 I think) it is just incredible. This palette will 100% become a staple in my Autumnal makeup routine. This will be another Autumn staple for me. These aren’t new, I’m pretty sure they’ve been around for a few years or so, but I hadn’t tried them before. I remember Zoella talking about this colour in one of her haul videos, so when I was browzing in Boots one day I decided to give it a try. It was only £5, so why not! It was a little weird at first, it’s not like an eyeshadow or anything, it’s like…a paste almost. That’s probably definitely the wrong word. It’s incredily easy to use, I use my finger and smear it across my eyelid, use my finger to blend it out a little, pop some mascara on and I’m good to go! It’s such a gorgeous colour as well, and it lasts all day. I think I’ll definitely have to pick up a few more colours – for a quick and easy makeup look, these are essential. So I think that’s everything I’ve tried out and loved recently – I’ll probably go to do my makeup and realise I’ve left out something. That’s always the way. What products have you been loving recently?